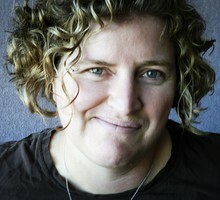 Jes Burns is the Southern Oregon reporter for OPB's Science & Environment unit. She previously worked for the NPR affiliate KLCC in Eugene as a reporter and the local "All Things Considered" host. Jes has also worked as an editor and producer for Free Speech Radio News and has produced reports as a freelance producer for NPR, Sirius Radio's "OutQ News" and "The Takeaway." Jes has a degree in English literature from Duke University and a master's degree from the University of Oregon's School of Journalism and Communications. One bill would ban aerial pesticide spraying on state lands. The other would improve notification of when sprays would happen. With no word from the Trump administration on the fate of the Cascade-Siskiyou National Monument, an industry lawsuit moves forward. Congress gave final approval to a wide-reaching natural resource bill that extends more public lands protections in the Pacific Northwest. The Northwest has seen plenty of snow and cold temperatures these last few weeks. But forecasters say some areas this summer could still face droughts. Oregon’s Borax Lake chub has been protected since the early 1980s, when geothermal energy exploration threatened to disrupt the hot springs that supply the only lake where it lives. What town currently feels like what your city will feel like after 60 years of climate change? A new mapping tool answers that question. Ski areas love the snow, but the water outlook is still not great for western Oregon. Surprising findings raise questions about how Pacific Northwest forests should be managed. State moves forward with Oregon State University to find new ownership of the Elliott State Forest near the south coast. This year will be a big one for the proposed Jordan Cove LNG project in southwest Oregon. The new Oregon Wildfire Response Council will look at the state's efforts surrounding "wildfire education, prevention, suppression, attack, and community recovery." The Oregon Environmental Quality Commission approved new smoke rules Thursday that should make it easier to use prescribed burns to lessen overall wildfire risk. Researchers in the Pacific Northwest have found that elevated levels of carbon dioxide in the ocean could have a profound effect on salmon. Recycling in Oregon has hit some bumps over the past few years, with local paper mills closing and China deciding not to import used paper and plastic any longer. The Rogue Valley didn’t directly experience any serious wildfires this year. But smoke from large wildfires burning hours away blew in and stayed for months — right at the peak of tourist season.